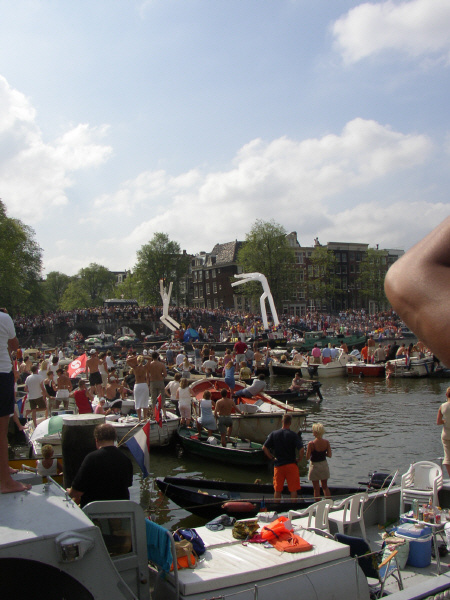 Amsterdam on August 2, 2003. What does it mean, the word Gay? Looking at the dictionary it means two things, Gay as being homosexual and Gay as being cheerful. Keeping that in mind and looking at the Gay parade I guess that both descriptions, given by the dictionary goes for the Gay parade. I mean: it is a parade on the water with cheerful folks watching many different show boats, like it were a carnival on the water, on the canals in Amsterdam. 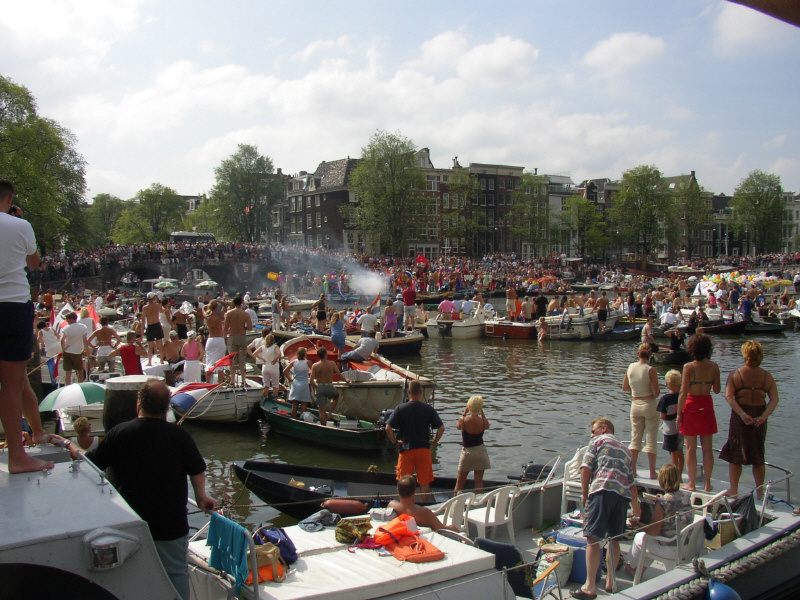 On these showboats you could see many different, happy and smiling, homosexuals having the time of their life. Looking at this parade from the platform where I stood, was great. Being surrounded by thousands of people, Gay and Straight, all together with no violence or hate. I whish for all the people around the world that you could have been there together with us in Amsterdam on that hot summer day. I whish that all people could see that there's no sense of killing each other for being different, thinking different. No reason to kill each other for his or her race, faith, sexual habits or what ever. Just be proud on what you are and respect each other. Thinking about the brutal attack on the World Trade Center in New York still brings tears in my eyes. Peace and happiness is all that really matters. If more people realize that than there would be less violence in the world and our world leaders could think about Mother Nature instead (the Greenhouse effect) and care less about people being different, because there is not a real difference between you and me. 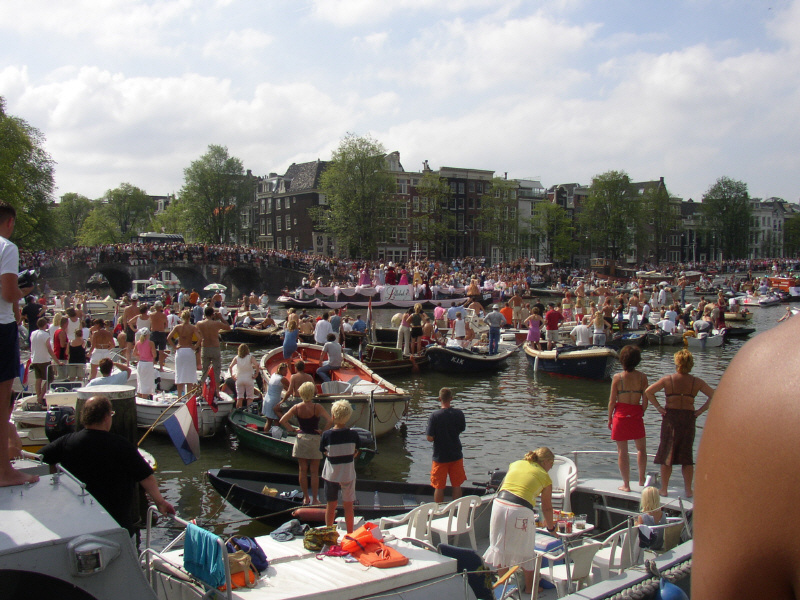 The gay parade in Amsterdam is the proof of it.